“Can’t we start with what I already have?” My friend’s question reflected her frustration in learning to tweak her golf swing, but it applies to more than golf. She mentioned this while watching my less than stellar warm-up on the driving range. My friend understood my frustration and mentioned her attitude shift. In my opinion, her swing is great, but it’s her perception that matters. She wants to improve. We all want to get better, whether it’s golf or anything else in life. Maybe we all need a perspective shift. This dear friend and I are very similar. Some may call it perfectionist tendencies, but whatever I do, I want to do it to the best of my ability. I get frustrated when I cannot do things as well as I wish. But I also have come to realize my limitations, knowing we all have areas to improve upon. Will my friend and I ever golf like pros? No. But can we improve and start with what we already have? Absolutely! We can’t always control life, whether it’s golf, a life-changing event, or an illness. But we always have control over our attitude. Setting our mind on the positive is one step. We set our mind which then controls our actions. I work with people experiencing memory loss and also those who want to do all they can to simply strengthen their mind and memory. I can help both because there is always something we can do to strengthen the mind. Like my friend said, we start with what we already have and work from there. This is also the rationale behind our new service-MemoryMinders Academy. It’s a way for proactive adults to strengthen their mind on their own timeframe by starting where they are. 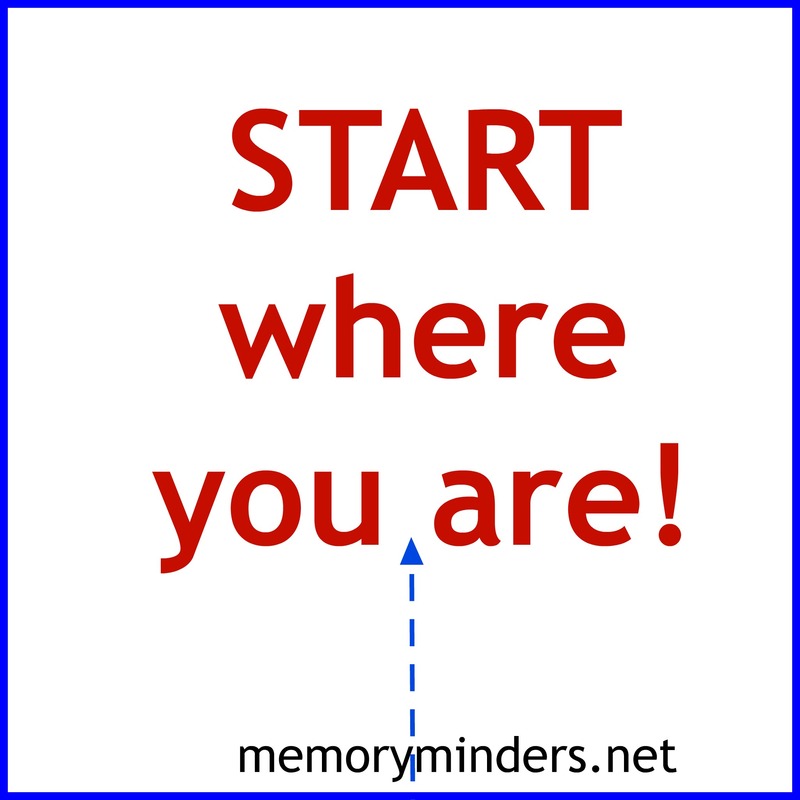 It can be for those experiencing early stage memory issues or those who simply want to challenge their mental fitness. Each week, subscribers receive an email with mental fitness activities to print and do during the week. They will also get tips, strategies and ideas to take their mental fitness a bit farther. They can then apply what works for them in their own life. They start where they are and go from there. As I golfed the other evening, I kept reminding myself to see the beauty around me–especially since it wasn’t my golf game! I’ll share with you what I reminded myself: be present and enjoy the moment. None of us knows how many moments we have. Let’s give ourselves a break and not expect perfect because no one is perfect. Start where you are and let’s make all the moments we have as memorable as possible. 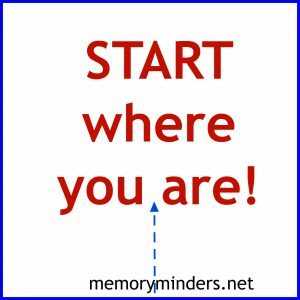 For more info on MemoryMinders Academy see the Academy page or email me at jill@memoryminders.net.